We use production machining to make your life easier. Turning, drilling and milling have no secrets for us and we put our expertise at your service. The raw material of your choice will be transformed to resemble the final product or component that you have chosen. We customize all these processes to meet your requirements; custom CNC milling and machining technologies are within reach today. During our initial consultation, we will determine your precise needs and work out a plan together to achieve the results you are looking for. Precision machine parts can be produced on demand for your specific order. Our machine shop works around the clock to deliver in time. Cutting tools of all sorts and designs are available to manufacture the appropriate component. Our ability to manufacture complex parts is proven and we offer a wide array of machining services that cover all your needs, present and future. You can expect a fast turnaround, even if contacted at the last minute. Most materials can be used, ranging from steel to aluminum and even specialist alloys. Small to medium batches can be produced but also larger ones depending on the complexity and the size of your order. Finishing and packaging are also taken care of in order for you to receive a truly finished product that can be used immediately. For all your precision CNC machining services, you know now who to call. Contact us today at 508-386-8356 to learn more. Our expert Machinists will be happy to answer your questions. 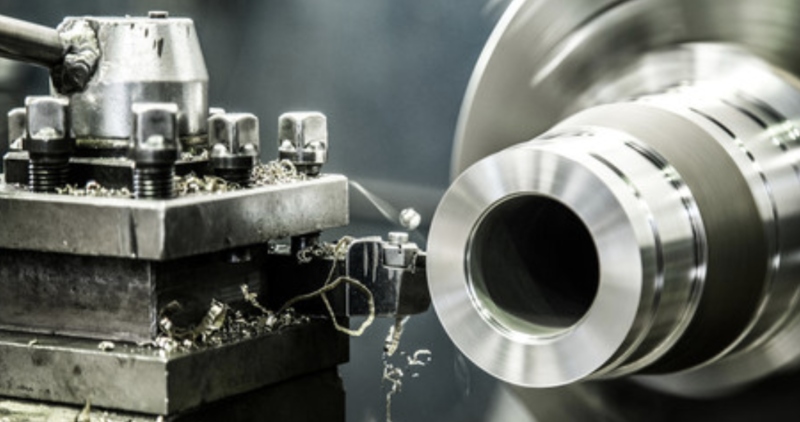 Producing quality tools in less time, this is what milling is for. With CNC precision milling (assisted by computer) you can give the metal of your choice the desired shape with perfect accuracy. Our engineers are specially trained to operate these complex pieces of machinery and they will follow your instructions to the T to reach the desired result. Two forms are available: horizontal or vertical (like turret milling machines for example). if you want to create an extensive array of shapes, that’s your best choice. We perform complex but also simple milling, threading, boring, tapping, drilling, knurling and more at our shop in Hanson, MA. All types of materials are used, whether it’s aluminum, iron, steel, different sorts of plastic, stainless steel and many others. We also still developing our skills working with different materials to offer you an increasing range of material to work with. A fast turnaround is possible in order for you to receive your products quicker than anybody else, even at short notice. We operate several milling machines and provide all our customers with our expertise and knowledge of the machining industry. We are proud to bring you high-quality precision CNC turning services. New equipment and advanced technologies guarantee your success. Each component produced in our factory is guaranteed to fit perfectly your requirements.Consistency, tight tolerance and accuracy: this is what our CNC turning machines offer. Our range of machines allows for efficient production and versatility like you have never seen before in Hanson, MA. Whether you need to perform some research and development work, create a few prototypes or produce only a few components, we can do it. Top-Notch precision turning equipment is at your disposal for all your industrial needs and you will enjoy fast delivery and quality results that equal or exceed your expectations. We work for a number of industries among which aerospace, robotics, semiconductors and much more. Precision is our job and our passion. Our team has accumulated years and years of experience operating all sorts of machines and still follow the latest trends in precision CNC machining. Whenever you need precision machine parts, you can call us and simply transfer your requirements over to us, we take care of the rest. ​The scope of the job doesn’t matter: we can produce small batches and ramp it up later if needed. Or start directly with high-volume orders since our custom CNC machining services offer repeatability and exceptional quality that we are able to sustain even during a long period of time. Get in touch today at 508-386-8356 or send us an email at FerrumMachining@yahoo.com and we will get back to you as soon as possible, usually within 24 hours.